Charles (fourth left) and others gather for a group photo at Miri Central Police Station after lodging the police report. MIRI: A political secretary to Chief Minister has lodged a police report against a Facebook user for posting a malicious and racist statement on social media on Jan 12. Charles Balan Seling lodged the report today at Miri Central Police Station and stated that the account holder of “J” (not the real title) had made an offensive and racist comment at around 6:30pm on Saturday ( Jan 12). The comment was made on the poster’s profile after sharing a post made by Parti Keadilan Rakyat (PKR) Baram chair Roland Engan on Facebook. Roland’s post was regarding the desires of rural residents of Long Bedian, Apoh and Baram for all responsible parties involved in the matters concerning NCR lands in Long Bedian to sit down together for negotiation. Roland had listed parties and agencies involved in the matter and reiterated the desire for negotiation to take place. The post was shared by “J” along with a comment that called for Dayaks to come together and go up against the Malay race. Charles asserted that the comment in question was extremely malicious in nature as it incited hostilities between the Dayak and Malay race, and called upon the police to throughly investigate the matter and take necessary legal action against the poster. 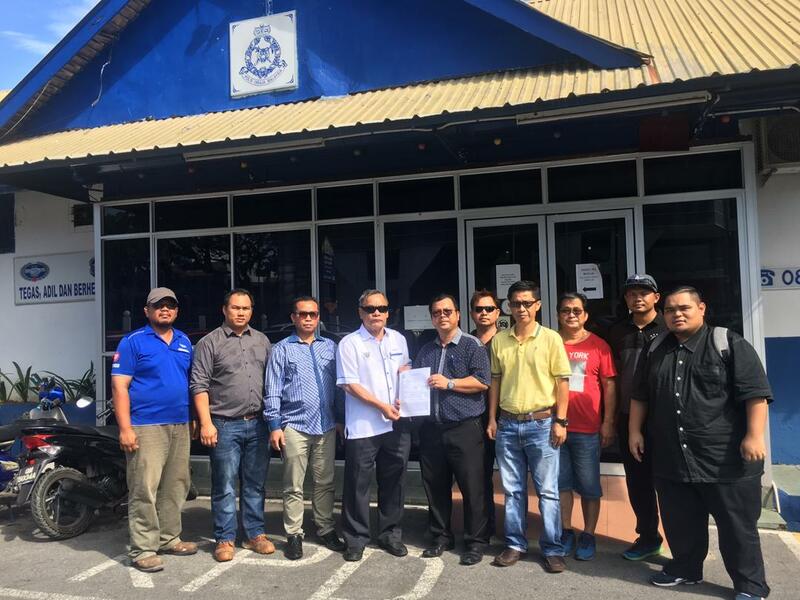 Also present at the time of the lodging of the police report were exco members of Parti Pesaka Bumiputera Bersatu (PBB) Telang Usan and Mulu Youth.